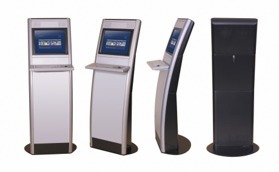 We have a wide range of Kiosks for both outdoor and indoor use. Below we have listed a few of the most popular versions. If you do not find what you are looking for, please send us an enquiry and tell us your needs. We will find the best solution for you. The Eagle Range offers great versatility for indoor applications, combining attractive design with the highest possible construction quality. 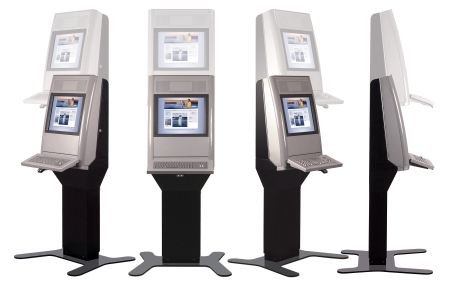 The Eagle Standard is the smallest free standing kiosk in the range and is capable of taking many of the most popular smaller peripherals. The Eagle Range offers great versatility for indoor applications, combining attractive design with the highest possible construction quality. Developed specially for wheelchair users and people of varying heights and ages, the Eagle Shift’s screen can be adjusted to the most comfortable position quickly and quietly by the touch of a button. The height adjustability range is 50 cm. Powerful 21,5" display with dual touch and modern design! 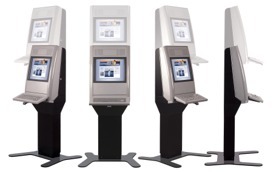 Explora iRead is the best answer for the current needs of public environments and work places which increasingly required the presence of information's point from where is possible to gain access easily to any kind of information and multimedia contents. It is an economical and ecological device with its mini-PC that offers over 70% energy-saving compared to a conventional computer. Equipped with a touch screen, an elegant and minimal design and the widest connectivity, Explora iRead is suitable for banks, museums, companies, trade fairs, public venues, showrooms and all aggregation places. Explora Totem is multimedia and interactive communicatio. The elegant and minimal design and the wide customization possibility, make Explora Totem perfect to be integrated into any environment and context. 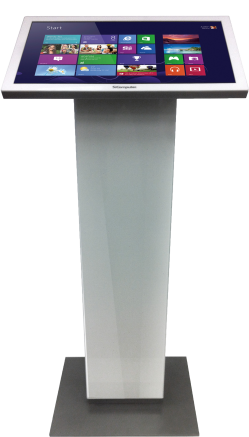 Explore Totem is available in five different versions (32", 40", 46", 55" and 65").